FORT BRAGG, North Carolina (WTVD) -- An off-duty Las Vegas police officer killed in Sunday night's mass shooting at a country music concert was a former 82nd Airborne Division paratrooper who served at Fort Bragg. Charleston Hartfield, 34, was one of the 58 who died when a gunman opened fire from the 32nd floor of a hotel. 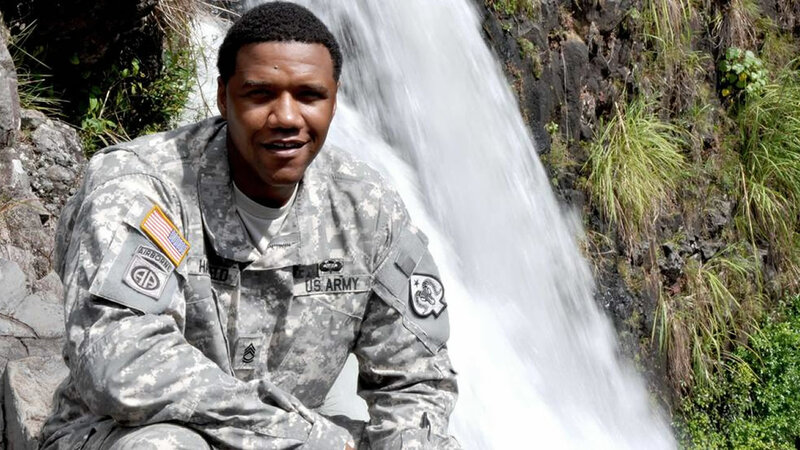 "Sergeant First Class Charleston Hartfield was an All American Paratrooper for life and, as with all who wear the AA patch, he and his Family remain part of our legacy even in death. By all accounts he was a special human being, someone who carried the best virtues and characteristics from this Division with him beyond his service here," said Lt Col Joe Buccino at Fort Bragg. Officials said Hartfield was currently with the Nevada National Guard and before that he spent four years on active duty with the 2nd Brigade Combat Team, 82nd Airborne Division at Fort Bragg. He served in Iraq. "This is a time of much suffering and tragedy, within our own borders and beyond. Our thoughts now are with the victims of violence and natural disaster in Las Vegas, Puerto Rico, the Virgin Islands, and elsewhere," said Lt Col Buccino. Hartfield, a married father of a son and daughter, authored a book published in July titled "Memoirs Of A Public Servant," whose cover he used as a profile picture online. Friends said Hartfield, known as Chucky or "ChuckyHart," also coached youth football.